If you’ve been following StoneGable for awhile then you probably know that I have a huge, over-the-moon, obsession with pillows. They are like jewelry for a room! And who doesn’t love that? 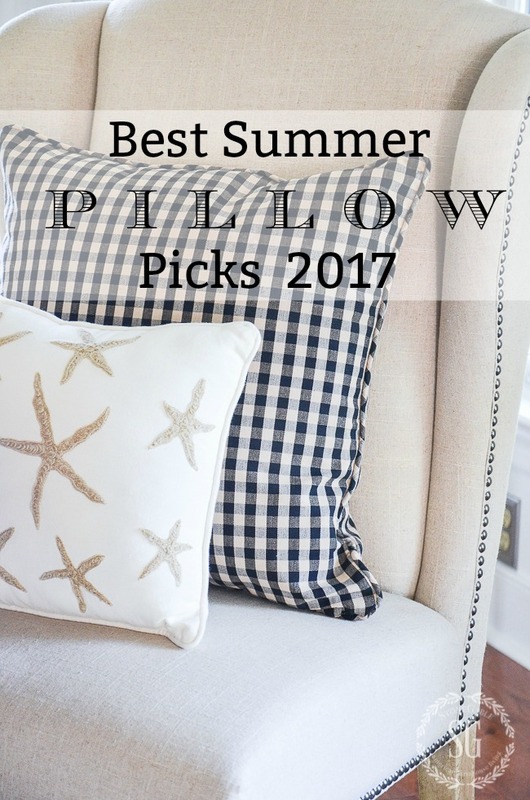 I’ve had a blast compiling the best summer pillows from around the web and here they are all in one convenient place! First, let’s talk about the hot styles in summer pillows! You might want to listen to our Decorating Tips And Tricks episode on Pillows! We have tons of tips to help you choose the best pillows and lots of advice about how to use them! First of all, I’m seeing lots and lots of navy in summer decorating this year. 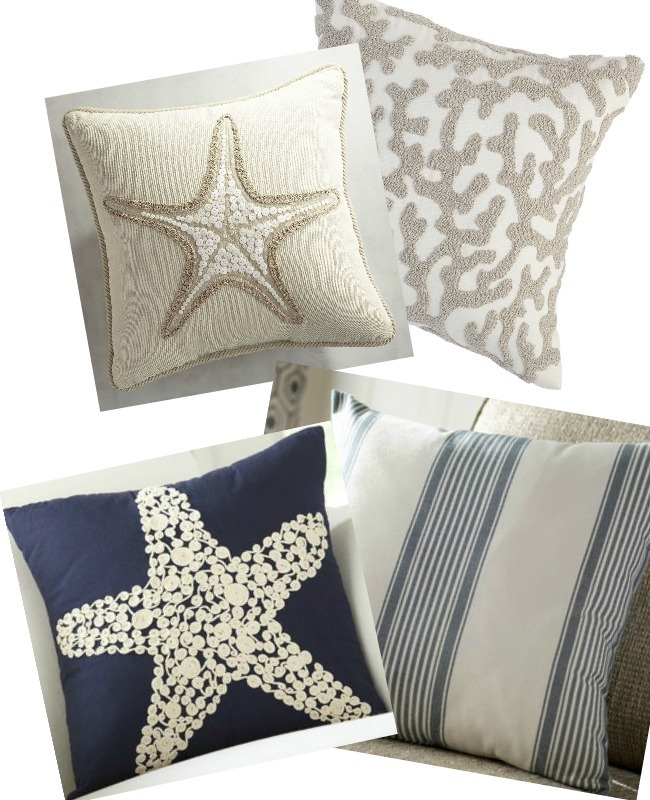 And navy summer pillows are just gorgeous! Pair them up or add a trio of pretty and crisp navy and white to your decor! Seaside motifs are big again this year, especially if they are embellished or textural! Pair them together or add a striped pillow (another big pattern this summer) with them! 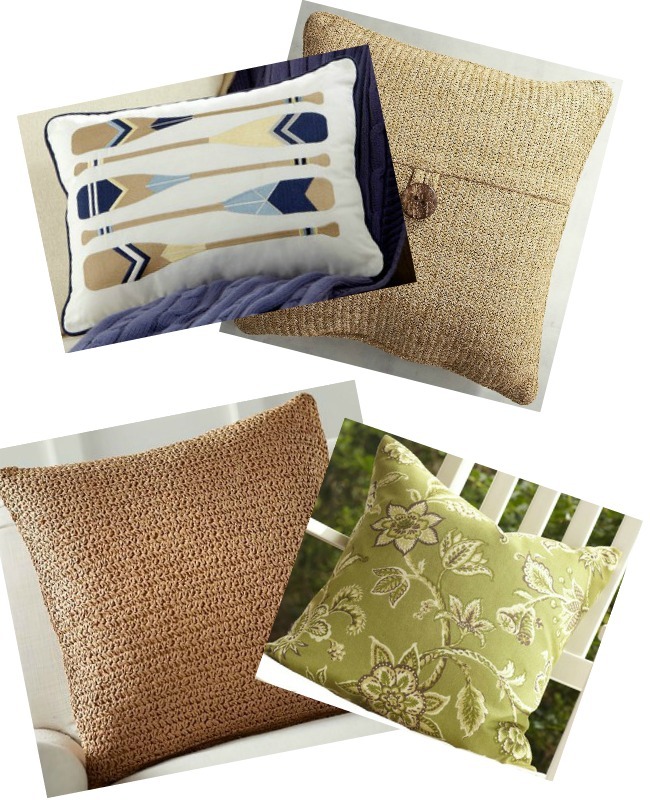 These summery pillows are absolutely spot on for summer decorating but use them judiciously. A pillow or two is all you need in a fun sea inspired pattern! 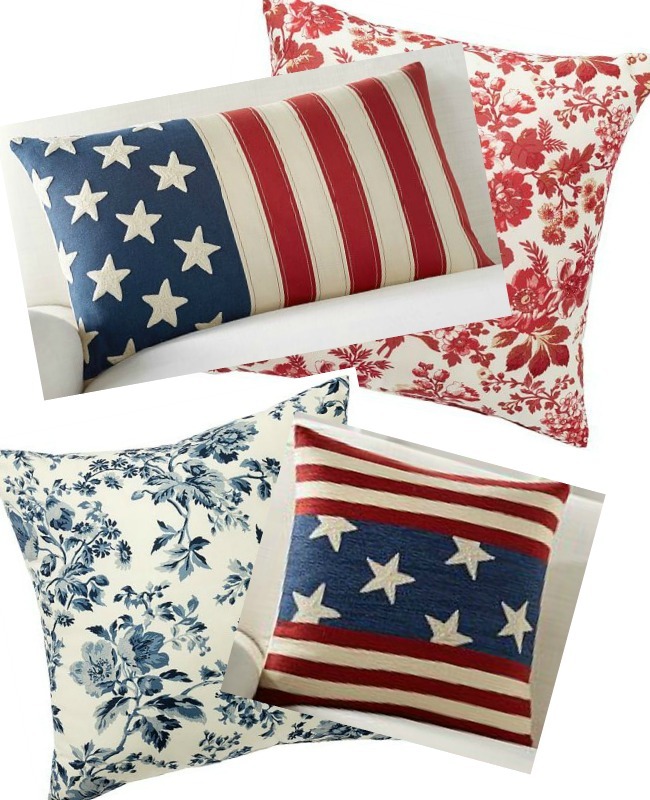 I’m LOVING the mix of patriotic pillows with floral Americana! Just so so warm and charming! This was a darling mix a long time coming! I’m seeing woven textural pillows this summer in droves! Even my favorite woven paper pillow that I use all year on my family room sofa is back (bottom left). This pillow is huge and really pretty! Texture, texture, texture one of my favorite words in the world of decorating! 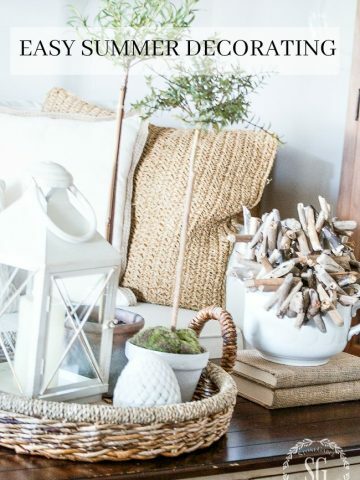 Add a few pillows to your summer decor this year! Here are some fabulous pillows I’ve found around the web. Most are very reasonable! I love the different pillow trims that you show. Where oh where do you find the different trims? 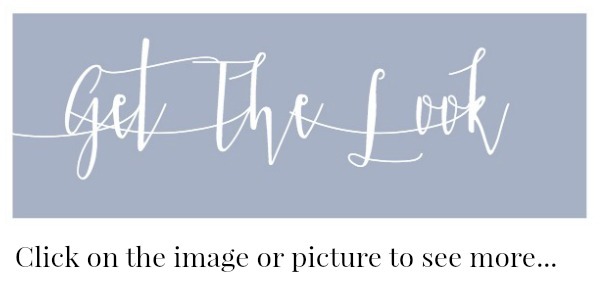 Sure do enjoy your site! I have way too many pillows it seems! I couldn’t resist a sweet watermelon pillow recently!! It seems pineapples are the newest craze, but this pillow just spoke summer to me. 🙂 And it makes me smile when I see it. Some of these are tempting, too. I have never had pillows for July 4th. Loved your combination of patriotics and florals! I saw the title of this post and thought oh boy I’m in trouble 🙂 Thanks for the links; love them all. The price on that Magnolia Homes pillow though? Crazy. I love your Pillow Love posts ! Could you tell me where did you find the embroidered starfish pillows shown on your dining room chairs? So cute! Thank you! Hi Joanne, I found that pillow at my local Pottery Barn a couple years ago. There was another company – society? – that has nice pillow covers. Could u tell me the name of the company? Hi Rebecca, Society 6 is what I think you are looking for! I just love pillows – thanks for showing your favorites!. Your pillow posts are my favs!!!! Thank you for the list of pillows on sale I saw one (well may be two) that are on sale at Pier One. Throw pillows, pillow fights,pillow talk…hmmm,it all sounds good to me! I love the pillows! Blue and natural look so good together! My favorites are the All American…with stars! Can’t beat the red, white & blue! I love your pillow passion and selection, but I just have a hard time getting into pillows! Perhaps you have given me an inspiration to work towards! I love pillows as well, and I love navy and white! These are all beautiful! Waiting for an order from Amazon… got some great deals on covers! 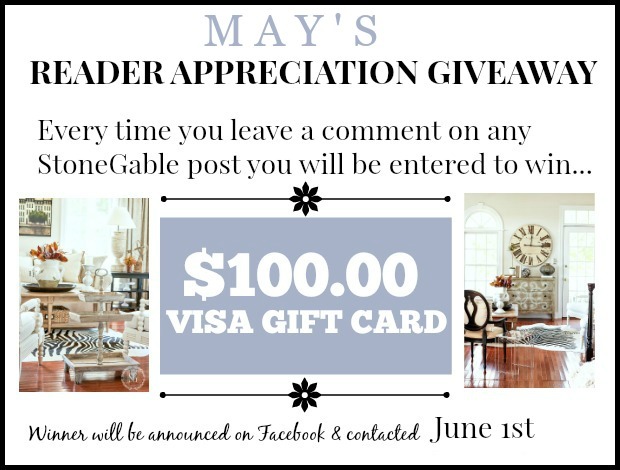 Yvonne, please post the winner some of us do not have facebook. All the pillow selections are really pretty, I would use a couple just as a conversation piece but not to change my Tuscany décor. Oh thank you for showing me how I can pick pillows. I can’t wait for my family to purchase our new sofa and I can go pillow shopping. I love the navy pillows and I am going to have to get the Lab pillow. I just got a Lab puppy (Chocolate) just like the pillow. I love new pillows! Kirklands has red, navy, and gray striped feather filled 20×20 pillows on sale for $16. Thanks Sharon, I am going to Kirklands. That’s a good price. 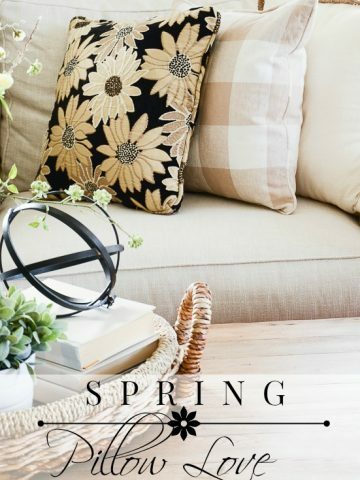 To change outdoor pillows, I buy seasonal fabric, wrap around and safety pin. Walaa ~ “new” pillows without the storage problem! I’m loving the navy very much. I love pillows too,they are so fun and can add a touch of whimsy to any decor. Thanks for the pillow ideas! You had me at navy. I love pillows too! So many beautiful pillows!!! Love the navy pillows. Pillow Punch! This year I was thrilled to stumble upon a darling summer bicycle pillow at a discounter. It looks way more expensive than it was and reminds me to slow down and enjoy these beautiful summer days! I love all your summer pillows! I use the bench in my hallway to change up pillows for the seasons. Thanks for all the great ideas! I love pillows, also! My problem is storage! Lately I’ve been trying to convert/make pillow covers so that I can change easily with the seasons, but save on closet room! Pillow covers will save you tons of room! Great pillows! I love everything blue and white!! I also love pillows, really like the bike pillows. Have a great summer! 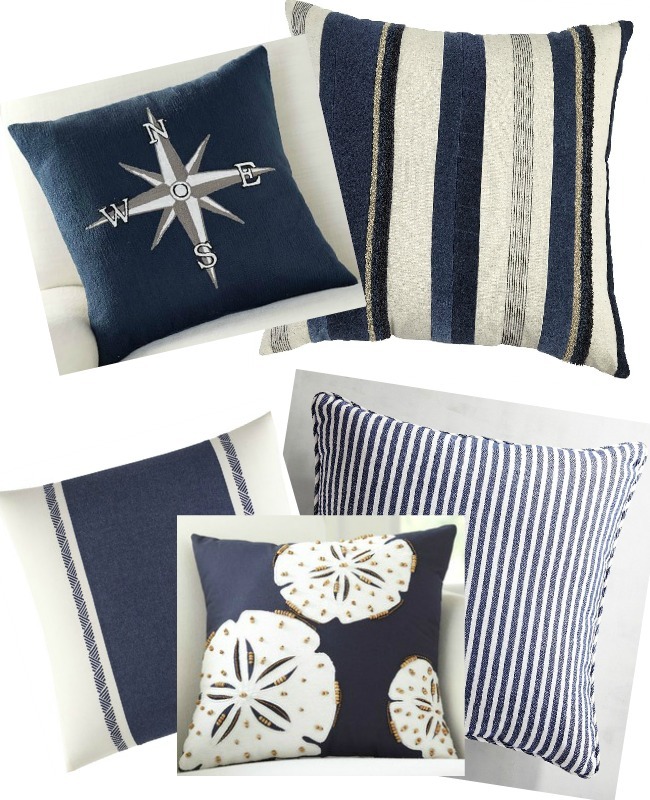 Do nautical pillows work for a house in Oregon, not near the beach? I love thise types of pillows but feel like they’re out of place amongst the big pine trees. love blue and neutral pillows…very summery! Love the summer pillows especially the blues. It is nice to see blue back in the color scheme. The floral Americana pillows are beautiful!! I love your pillow picks! Really like your pillow picks Yvonne! 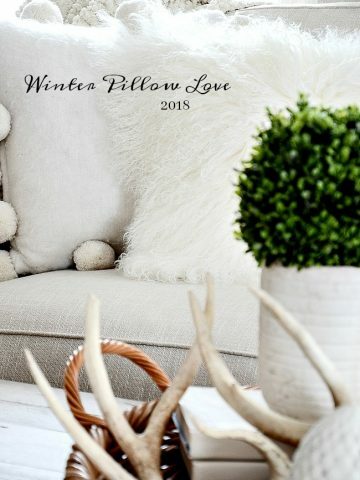 I also love pillows and changing them out seasonally. Thanks for some nice summer pillow suggestions! I’m always up for a post on pillows! I love those navy striped pillows! Love your choices. Thanks for a sharing. 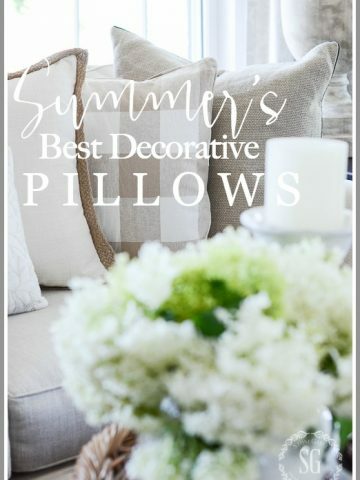 I love all your picks for summer pillows! I have been on a search for my living room sofa, which is a light moss green it’s hard to find the right color combinations to really get that wow when you look in my living room, so if you have any suggestion please share. Pillows are beautiful. I also have a thing for them. In fact I have quite a bit of fabric to make pillows. I love making them and changing them out. Last time I was at Hobby Lobby they now have in there fabric department pillow covers . I share your pillow love – thanks for the great article!